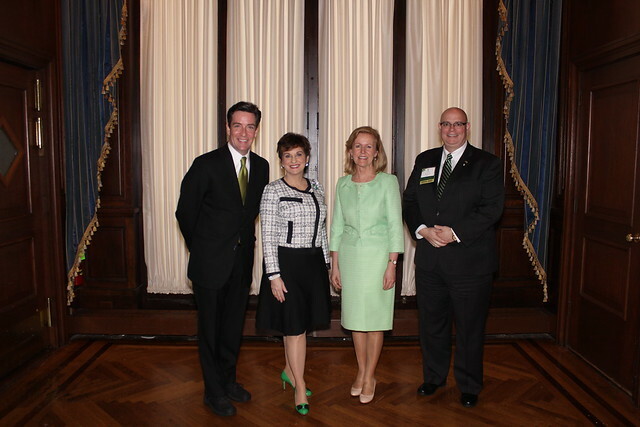 The Ambassador Award is presented each year to a member company that has helped to carry out the Chamber’s mission of strengthening business and educational ties between Ireland and the United States. Past honorees include SAP, The Children’s Hospital of Philadelphia, Shire Plc, ARAMARK, The Vanguard Group, ICON Plc, Amicus Therapeutics, Siemens, Wyeth, ICT Group, GMAC Commercial Holding Corporation, and Cross Atlantic Capital Partners. 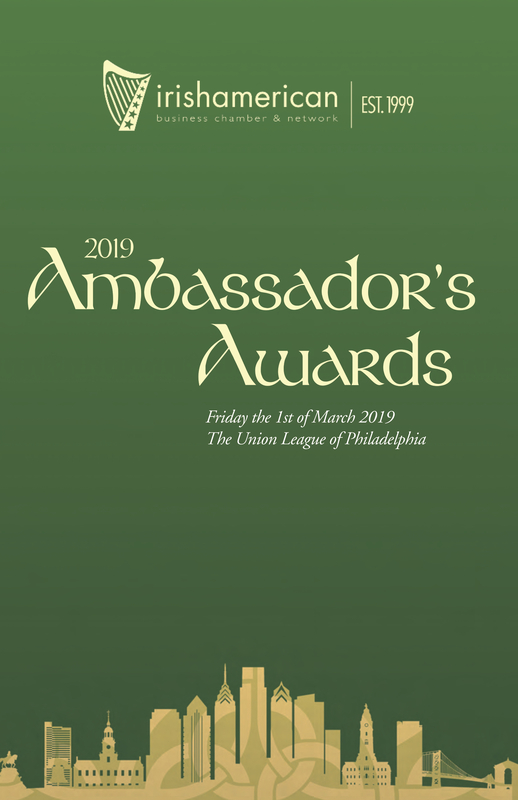 The Taoiseach, or “Chieftain,” Award complements the Ambassador Award by recognizing individuals of Irish decent who have exemplified leadership and compassion. The recipient of this year’s Taoiseach Award is Frank Reynolds, Chairman and CEO of PixarBio Corporation. His own spinal cord injury in 1992 drove him to co-found InVivo Therapeutics, and most recently PixarBio Corp. 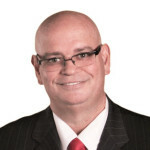 He is a co-inventor on over 50 pending or issued patent applications utilizing biomaterials for central and peripheral nervous systems and for GMP manufacturing of biomaterials. The Uachtarán, or “President’s,” Award honors Ireland’s president and that office’s tradition of building cultural and economic alliances. The recipient of this year’s Uachtaran Award is CBS 3. Since 2004, CBS 3 and The CW Philly 57 have proudly brought area viewers the St. Patrick’s Day Parade – the second oldest parade in the country and the largest and oldest in the Philadelphia area – live on CBS 3 and streamed live on www.cbsphilly.com. The parade rebroadcasts on St. Patrick’s Day on the CW Philly 57. KYW-TV was also the founding media sponsor of The Irish Memorial, spearheading the fundraising effort to bring the sculpture– artist Glenna Goodacre’s salute to America’s Irish Immigrants – to its site at Penn’s Landing, where many immigrants disembarked. Click HERE to read press coverage of our event. 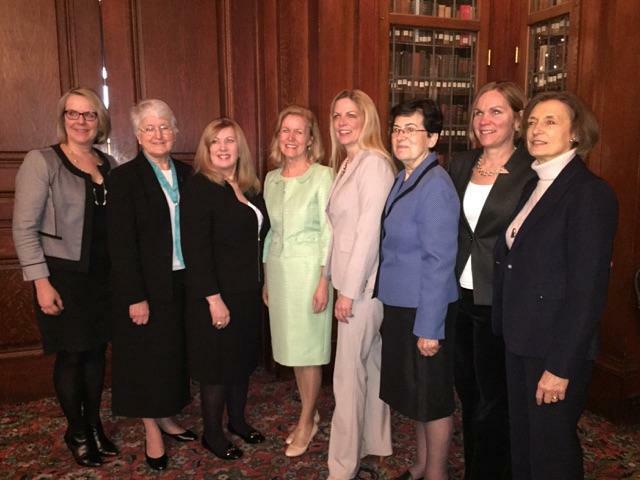 Click HERE to listen to Ambassador Anderson’s interview with KYW.